Jalopy-san has taken to calling small structures like this shackitecture, and I like his coinage. So I'll run with it. However, the idea of creating small structures with big ambitions isn't entirely new. 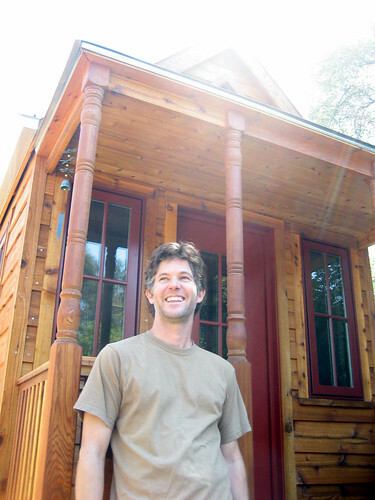 Jay Shafer, founder of the Tumbleweed Tiny House Company, in Sebastopol, California, is arguably a pioneer in the field. 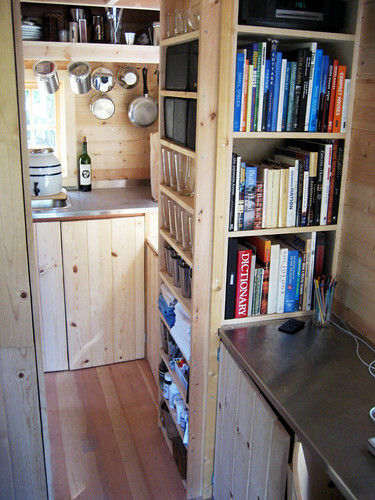 He sells plans and blueprints for a variety of small homes, most of which are less than 150 square-feet. 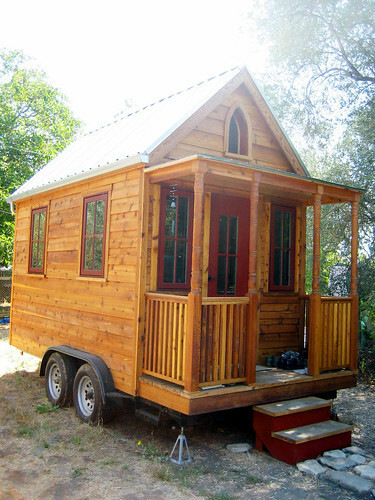 Jay's own home is a 100 square-foot cottage that includes a desk, a sitting area, a kitchen, a bathroom, a sleeping loft, and a front porch. So cute. I visited Jay at his home back in 2006. His house is mounted on wheels, in part because that allows him to easily relocate whenever he can find a more attractive place to live. 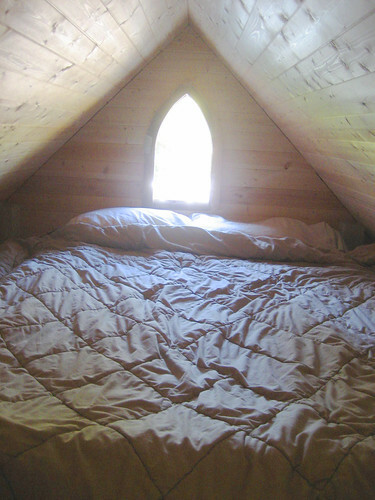 (When I visited he was planning a move to a redwood grove.) The wheels also allow him to bypass various building codes, which are largely designed with much larger dwellings in mind. Legally speaking, therefore, his house isn't a home... it's a camper trailer. Handy. I really loved his house. It was very solidly built, and it was designed with all the functional efficiency and thoughfulness that one normally associates with ship cabins and sleeper trains.